I’m worried that my housemates might be spies from another country. What should I do? Hello there. Living with a spy should be a big concern not only for you but for national security and world peace. Therefore, certain action should be taken. I am not a national-security expertise but I can give you an example for benchmarking. 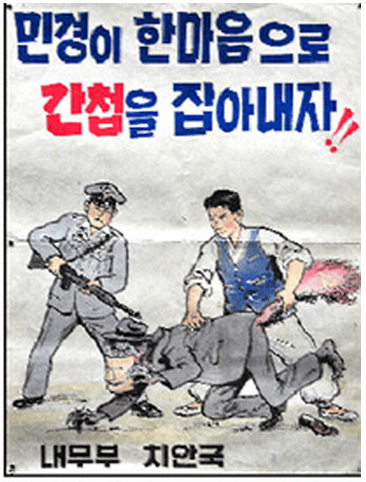 There is a country, called South Korea and people in the country always afraid of spies from its neighbor in the 1970s. At that time, the government led the campaign with several interesting slogans and action plans. Here I will introduce some for you and hope that helps. It says, “Police officers, citizens, catch spies altogether.” So you may need to contact the government, I guess. Why have I never had a boyfriend? My roommates constantly make fun of this. Boooooo! A relationship, an unexplainable mystery for some people. Look around yourself. Are you hanging out with people who also are quite bad at having a crush on someone? If you are, that is the reason. You should stop hanging out… just kidding. Whoever reads this now, please do not leave me! I mean, do not abolish your friendship. Okay, back to the topic. I just googled the way to make a boyfriend. First, you should look for new guys, get to know them, make sure they aren’t taken, and be approachable… well, well. Why don’t you change your roommates into people who do not care with what’s going on with your relationship status??? I recently learned one of my roommates is an exceptionally talented massage-giver. I also recently learned one of my other roommates is an exceptionally loud massage-taker. It’s a bit uncomfortable. How should I deal with this? Yeah. Massage-takers sometimes make weird noise especially when their bodies feel extremely tired. Therefore, you should check out if you’re exceptionally loud massage-taker is having hard days. If the person is, you should make him/her less tired by doing his/her homework, writing papers and so on. By the way, please let me know who that “great massage-giver” is. I think I deserve some time for relaxation after solving such a problem, right?